Jill Davis | A, B, See the Beatles! Share your love of the Beatles one letter at a time! Arguably the most influential band in history, the Beatles shaped an era and were the soundtrack of a generation. What better way to celebrate their influence than with a book that can be shared with the youngest generation of all? 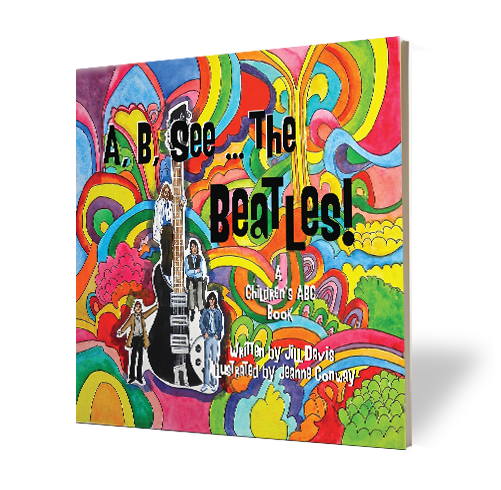 With whimsical illustrations commemorating special moments in the band’s history, A, B, See the Beatles! is a keepsake for children and their parents alike. Rhyming couplets bring the lyrics and the band to life for even the littlest Beatles fans. Hidden references tucked into the illustrations mean new discoveries every time. For an interactive experience, listen with your child to the songs highlighted in the book, and watch as they, too, fall under the spell of the melodies that inspired us all.